SCVHistory.com | Film-Arts | Stephen Hillenburg (CalArts MFA '92), Creator of SpongeBob Squarepants. 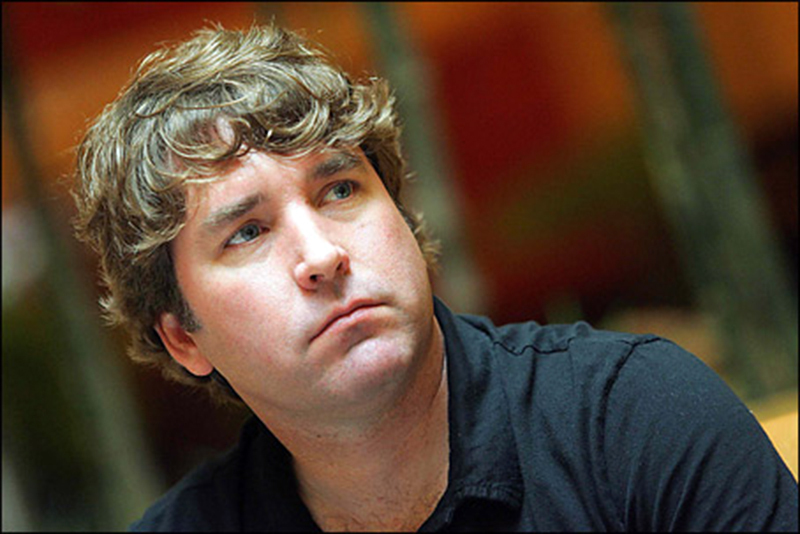 Stephen Hillenburg was born August 21, 1961, in Fort Sill, Okla. He is a marine biologist, a CalArts graduate (Film/Video MFA 1992), and is best known as the creator of Nickelodeon's "SpongeBob SquarePants." After graduating from Savanna High School, Hillenburg enrolled in Humboldt State University and graduated in 1984 with a degree in natural-resource planning and interpretation, with an emphasis in marine resources. In 1992, he earned a Master of Fine Arts in experimental animation degree from the California Institute of the Arts. He was a marine biology teacher at what is now the Orange County Ocean Institute. He worked as a marine biologist from 1984-1987. In 1987 Hillenburg decided to pursue a career in animation, his second lifelong passion. He made several short films, two of which were awarded and played in animation film festivals internationally. His two short films The Green Beret (1991) (which was featured in an episode of "Liquid Television"; MTV misspelled his name "Hillenberg" in the credits) and "Wormholes" (1992) became popular shorts in several film festivals — and received various awards. 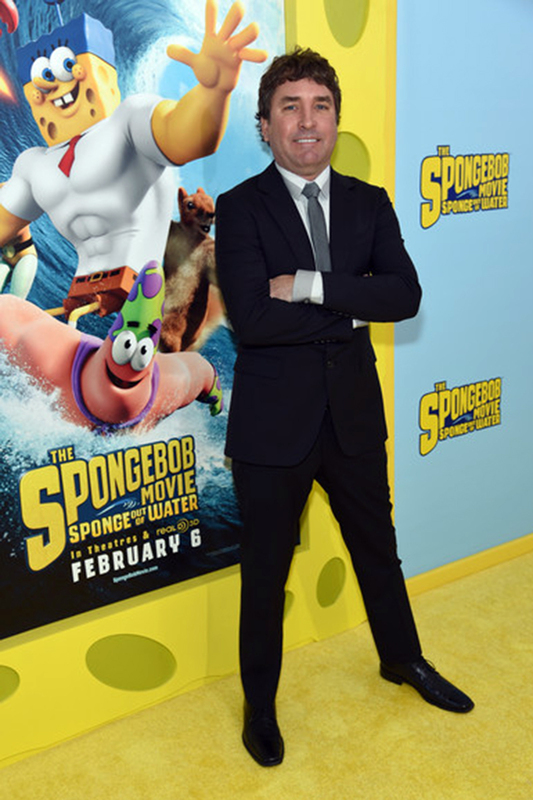 New York premiere of "The SpongeBob Movie: Sponge Out Of Water 3D," 1-31-2015. While still attending animation school, Hillenburg received a job on the children's TV series, "Mother Goose & Grimm," from 1991 to 1993. When attending the California Institute of the Arts he made his thesis film called "Wormholes," which was funded by the Princess Grace Foundation. Hillenburg displayed his films at various animation festivals. Joe Murray, creator of "Rocko's Modern Life," met Hillenburg at an animation festival and asked Hillenburg if he would be a director on the show, to which he agreed. Hillenburg joined the Nickelodeon animated series as a writer, producer and storyboard artist. While working on "Rocko's Modern Life," Hillenburg became friends with Tom Kenny, who would later become the voice of SpongeBob, and future SpongeBob collaborators Doug Lawrence, Paul Tibbit and others. When "Rocko's Modern Life" ended in 1996, Hillenburg developed a concept for a new show about sea creatures, drawing on characters he created for a comic book about tidepools in 1989 at the California Institute of the Arts. He focused the show on a sponge, which Hillenburg initially drew as a natural sponge but changed to a square sponge because it looked funnier. In 1997, Hillenburg teamed with some of his former "Rocko" colleagues, who helped design the show's backgrounds and characters. While working at the Ocean Institute, Hillenburg wrote a comic book called "The Intertidal Zone." He showed it to Martin Olson, a friend and one of the writers on "Rocko's Modern Life." Olson loved it and suggested that Hillenburg rewrite it as an undersea cartoon series. In 1998, Hillenburg pitched the show to Nickelodeon, using an aquarium, character models, a theme song and the storyboard that would become the pilot episode, "Help Wanted." 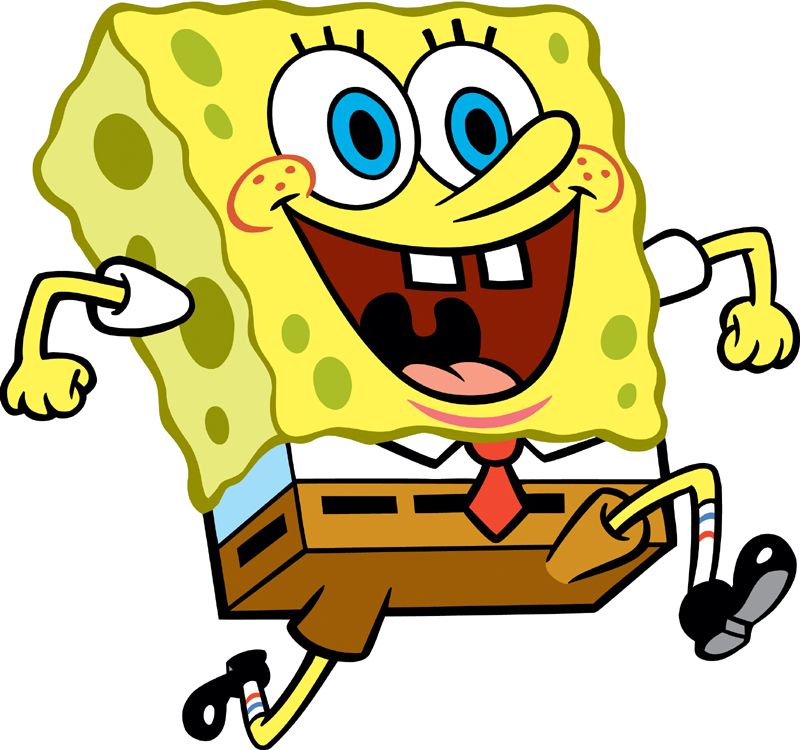 The main character's name was originally "SpongeBoy," but since the name was copyrighted, he changed it to SpongeBob. Nickelodeon executives bought the pitch and the series premiered in July 1999. Karen, Plankton's computer wife on the show, is named after Stephen Hillenburg's wife. Hillenburg resigned from his position after creating the movie, but as of 2015 he is still the executive producer of the TV show. He played the ukelele for the song "Best Day Ever." Hillenburg's net worth is estimated at $90 million, making him one of the world's richest scientists.